China longquan is the original place of treasured swords and celadon (ware). It is famous home and abroad for the production of longquan swords. On the base of 2600 years’traditional sword culture of longquan, pany inherited and are developing the ancestral sword-forging craft, absorbed the merit of other colleagues, and choose best material to forge the swords by over 20 working procedures such as hammering, shoveling, filing, engraving, quenching, polishing, etc. It is famous for the distinguishing features “tenacious and sharp, couple hardness with softness, threatening shiny blade, exquisite patterns and fittings” thanks for high expectations and support from our customers. 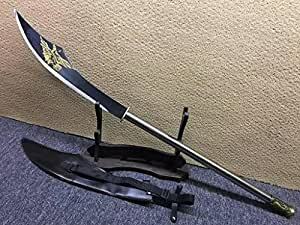 We will never disappoint any sword-lover and our customers. Meanwhile, we strive to make every sword to be excellent with renewed efforts, making perfection more perfect, and meet all customers’satisfactions.